Enterprise Resource Planning (ERP) is a system that integrates various verticals of a company into a single process for enhanced efficiency and functionality of the business. 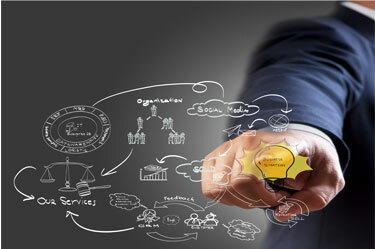 In essence, ERP provides a single platform under which various departments of a business can work together simultaneously with the help of special tools created especially for that particular department and sharing the data in real-time with other departments in a synchronized manner for efficient channelizing of the overall business process. It takes into account which tools are being used by which vertical of a business to achieve the desired results. ERP software actually helps a company to optimize its performance so as an employee could interact with another employee and operate in sync with each other. In the present world, as technology moves forward in leaps and bounds with every passing day, ERP software developers are busy like bees to keep themselves abreast with the latest technologies in the market so as to offer competitive products that are innovative and functional. It's no surprise then that there are thousands of ERP solutions available in the market today. Moreover, with the advent of SAAS and cloud based technologies, legacy ERP systems have upgraded themselves to a whole new level. 1. They require on premise installations that thrive on your own hardware infrastructure. 1. They do not necessarily require an on premise installation and everything is hosted on third party servers in the cloud. 2. Developed using a proprietary or legacy programming language that might get discontinued in the future resulting in disadvantageous situations. 2. Developed using popular web based tools such as java, html, etc that will always be in existence ensuring ease of use of these products. 3. Third party product integrations are done through manual installations using CDs. 3. Most of the third party integrations are accomplished on the cloud without any manual installation using CDs. 4. Require a lot of time for implementation as everything is to be manually integrated with each other such as accounting, sales, marketing, inventory, customer support, e-commerce and website. 4. Implementation time is greatly reduced due to the pre-built design of the solution that automatically integrates various verticals of a business under one umbrella such as accounting, sales, customer support, marketing, website and e-commerce. 5. Applications need to be upgraded from time to time which involves a lot of costing associated with it. 5. Applications are managed, maintained and upgraded from time to time on the cloud automatically. 6. Not so cost effective. To conclude, cloud based ERP solutions are way more advanced and cost effective than legacy ERP solutions as they offer seamless integration of applications and ease of use in a cost effective manner.